As Orbit Baby’s most anticipated product in recent years, the marketing team was tasked to develop and execute a comprehensive go-to-market launch campaign for the Double Helix Stroller. By introducing a double stroller to their product line, Orbit Baby was able to expand their reach to larger families and embrace the company’s philosophy of creating products that “truly grow with your family.” I developed and project managed an integrated campaign and oversaw the development of creative content to support the launch, using both in-house creative expertise and external agencies. The launch campaign included photography, video, web, print, email, event, social media, retail, celebrity seeding, and public relations. 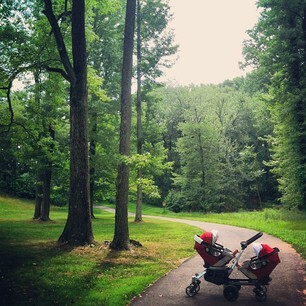 All Double Helix Stroller photography were art directed and photographed by Orbit Baby's marketing team. 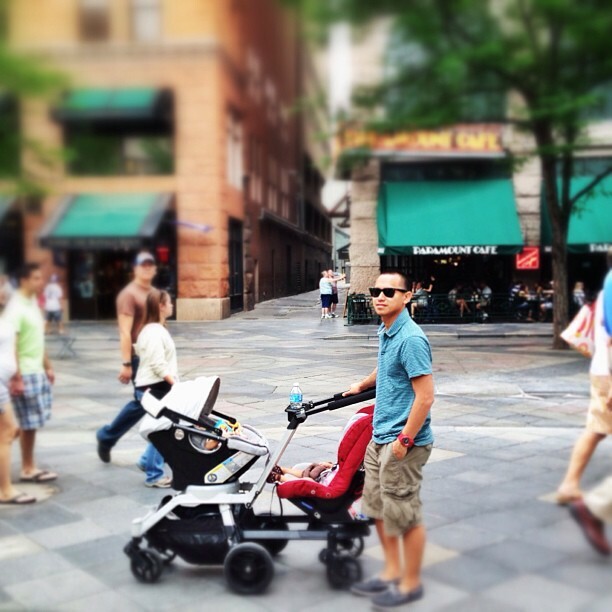 In the fall of 2011, the Double Helix Stroller was revealed to the trade and press at the annual ABC Kids Expo. We created a teaser video to introduce the product to the public. Specifically, we highlighted the modularity aspects of this new product, which stayed true to the core mission of the company to create products that truly grew with your family. A product features video and installation video were also created with an outside film studio both to educate our consumers and to be used as training materials for our retailers. As there was a 12 month lag time between the initial announcement of the Double Helix in 2011 and its delivery date in 2012, one of the goals for the marketing team was to generate customer interest during this time and to organically grow our mailing list in preparation for the launch. We increased our mailing list subscribers by 170% in 2011 and 70% in 2012 primarily via social media efforts, and delivered an email marketing campaign at launch aimed at educating our customers and increasing conversion rates. Along with growing our mailing list, the marketing team also focused on increasing our reach on Facebook, which has become one of the top referral sites to our website. Facebook fans were some of the most engaged visitors to our site, with higher-than-average number of page views per visit, and at longer durations. In 2011, we increased the number of fans by 350%, and in 2012, by 120%. During the launch, we were able to remain active on our social media channels by directing traffic to our web content, engaging our fans and retail partners, and highlighting key press hits. Within days of the Double Helix Stroller market launch, some of our biggest celebrity fans were already spotted with the stroller in the wild, including Jessica Alba and Tori Spelling.